and seeing as I was awake thought I would flick through my Instagram feed. Imagine my surprise when I saw this picture appear. 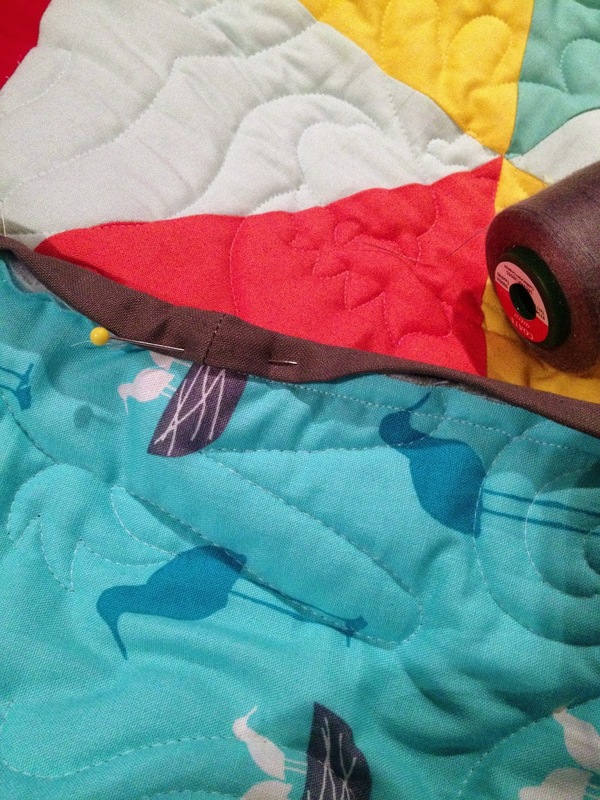 for me to buy a quilting machine. and I feel amazed that people will do this. But I also feel super excited. and somehow there is always someone who needs a quilt isn't there. I really really would love it if you would support this effort. and also on this facebook page. it's what I love to do. It's something I can do and I want to keep doing. even just a little, and I promise that it will be put to good use. Isn't it amazing what happens when people work together? Reading your blog has been a blessing to me! Your friends are wonderful for letting me give back. 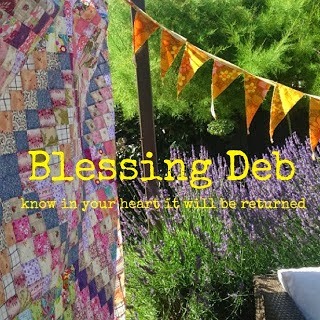 you are just awesome deb!!! I love that you have embraced this. I love that you give quilts. I also love your friends. How awesome are they? Totally what Sophie said! She's nailed it. It will be a gift not an obligation to keep making. You have described yourself to me as an encourager of others - this is such a small part of what your encouragement has produced! Be humbled yes - but never embarrassed - you are simply reaping what you have sown with a gracious heart over a number of years. I am so excited for you. I am your Cape Breton, Nova Scotia, counterpart as I do the same thing here!! It fills my heart to be able to pass out perpetual hugs where needed, but it does get very costly. If you visit my blog and scroll down a couple of posts, you'll see my latest comfort quilt, which this time had a personal flavor to it. I was saving up for a KitchenAid, but I can save up for one next year!! Good luck!! I know it will gel and I'm very happy for you to have such good and caring friends. 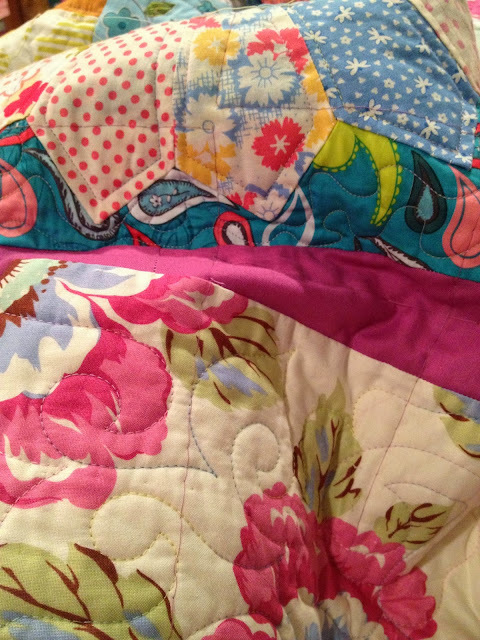 I love that last quilt. 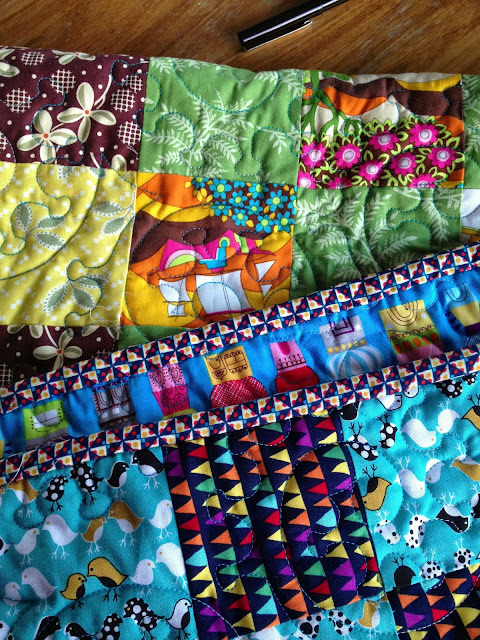 So beautiful, and such an amazing thing to do giving away quilts. I've had a lovely big smile on my dial following blogs sharing about this, and then to read yours with such acceptance and excitement really has made my day. What a joy it must of been for you to wake up to.